Rivers State Governor, Nyesom Ezenwo Wike has commended traditional rulers in the state for their support for the peace initiatives of the State Government which has enhanced peaceful coexistence across the state . He said the improvement of peace has transformed the state into a destination of choice in the country. Declaring open the 107th Quarterly Meeting of the Rivers State Council of Traditional Rulers in Port Harcourt on Wednesday, Governor Wike urged the traditional rulers to sustain their efforts at promoting peace in communities. 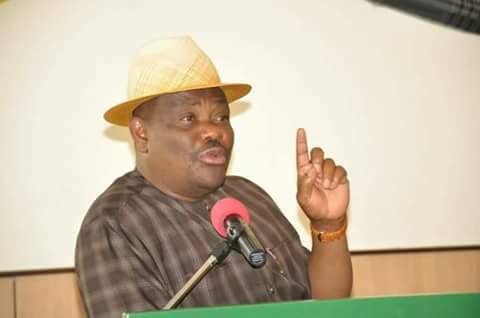 Governor Wike said: “Don’t relent in working for peace in our communities. There is no part of the state that will not benefit from our development drive. We have effectively reached 22 local government areas. The last local government area will be reached by the first quarter of next year. “Your contributions have led to the reduction of crime in our communities. Now, we can sleep well and everyone wants to come to Rivers State. We are now hosting workshops, seminars and conferences “. He assured the traditional rulers that the State Government will complete their secretariat in record time, adding that the process for the release of official vehicles to first class traditional rulers has commenced. The governor urged Traditional Rulers not to promote the conferment of titles on criminally minded persons, saying that it will demean the structure of traditional stools in the state. He said: “Give titles to very credible persons in our communities. Titles should be reserved for persons who have contributed meaningfully to societal growth. “Always look at the credentials of people before you confer titles on them. That is the only way people can respect these titles”. In his address, the Chairman of the Rivers State Council of Traditional Rulers and Amayanabo of Opobo, King Dandeson Jaja said the speedy development of Rivers State has turned the state into a destination of choice. He lauded the governor for his restoration of peace in the state, noting that traditional rulers will continue to support the administration. He urged Governor Wike to continue with the classification of traditional stools in the state. While thanking the Rivers State Governor for the construction of the council’s state secretariat, King Jaja appealed to him to purchase and release official vehicles to traditional rulers. He said the numerous awards conferred on the governor are testimonies of his outstanding performance.